Managing new and returning customers is now made effortless with hCue’s Medical Store Software.Past customer details can be pulled out quickly by just knowing a single detail. It could be return number, invoice number, return date, customer name, customer mobile, Email id or production name , your Medical Shop Software makes things as simple as that! Your Medical Shop Software might have multiple chains and pharmacies. 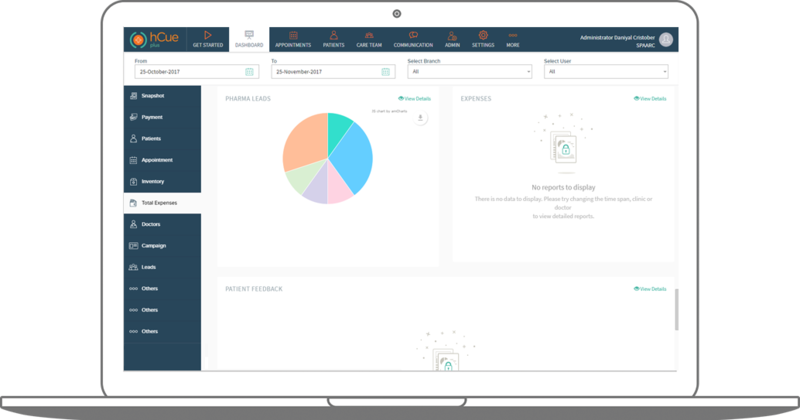 But as an admin you can monitor the access given to the users and enable/disable features based on your specific business requirements. Access everything in your Medical Store Software at the comfort of your home and a click! With hCue’s Medical Store Software, we don’t let you be clueless about functionalities. To help you better understand, we have created numerous demo Medical Shop Software videos for your benefit. Get benefitted with Asia’s best Medical Shop Software! You can always switch between your pharmacies chains inside the dashboard. 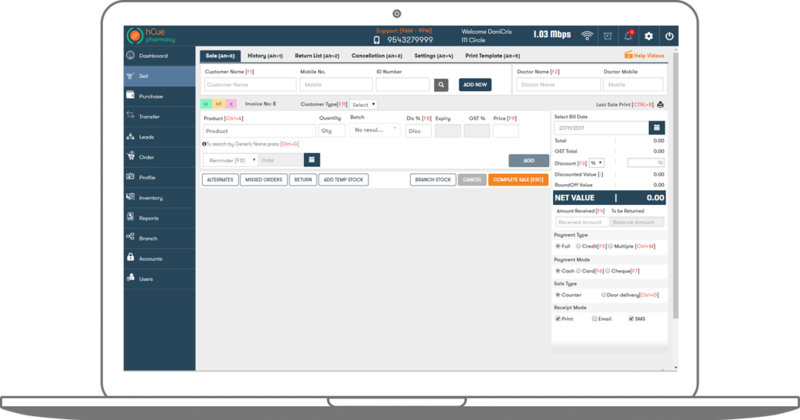 This gives you the comfort of accessing your Medical Store Software as a one stop shop for management of multiple pharmacies. Can your Medical Shop Software get more easy and effortless to use? 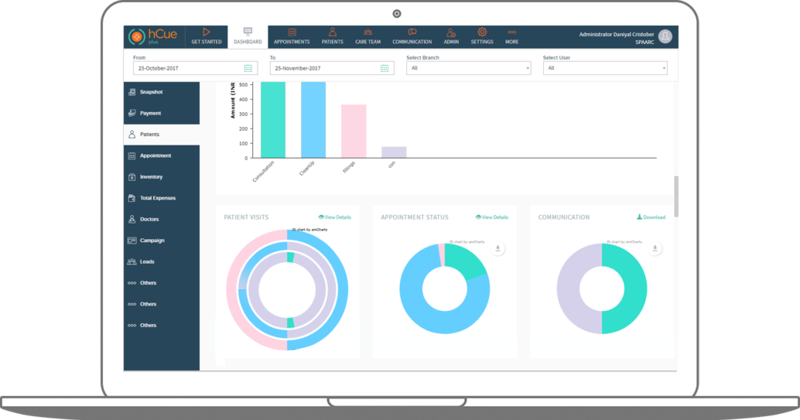 Medical Store Analytics engine gives powerful insights on analytics and has an inbuilt CRM. Pharmacy shop owners are now empowered to analyze data through personalized dashboards. 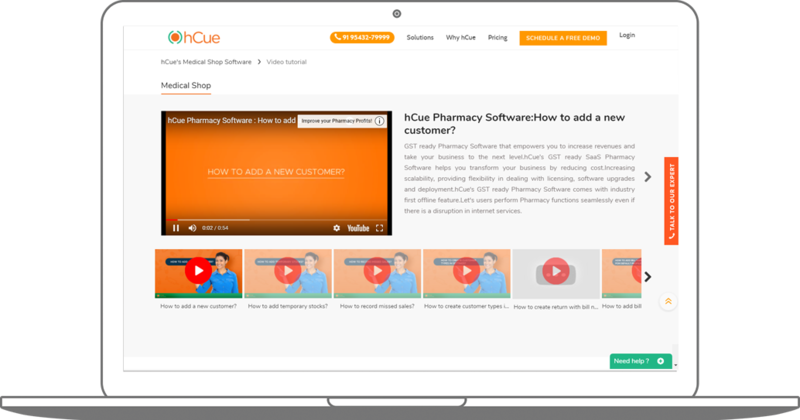 Deep market insights to increase revenue and repeat success with hCue Pharmacy Software. hCue’s smart dashboard puts the GST ready Medical Store Software in your pocket. Gives you access to critical information like Trending Sales, Current Stock and Total Purchase. The power of this information at your fingertips will make you act fast.